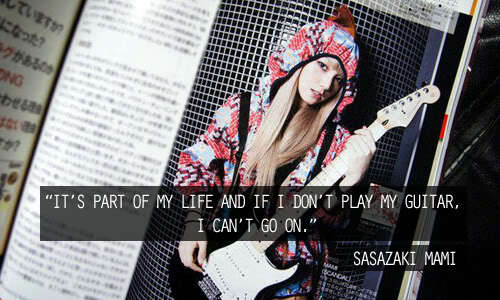 Actually I already play guitar almost a year. And I think drums are cooler than guitar. But I can't afford to buy a drum set because I'm only a high school student. So I choose to play guitar because it was cheap and I already learn a lot. And also it feels great when headbanging while playing. Changing instruments will also be a hassle. 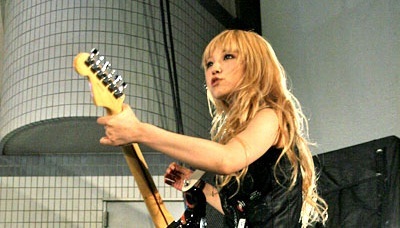 I want to become a great guitarist like MAMI who make beautiful melody but I want to aim higher and close the gap between my idolized guitarist Leda of Deluhi and I.
I want to be a drummer too!! Can someone teach me how? HAHAHA!!! I bought a guitar last year and still hasn't learned anything worth playing. I was just messing with it around, playing something in dropped D tuning. I really want to learn how to play it. But I'm also interested in bass. 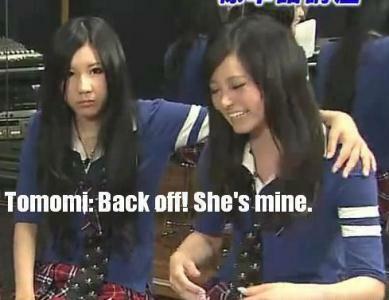 Maybe because Tomomi's reason is the bass has fewer strings and it looks easier to play. It would be incredible if you guys can share tips! Actually they are about the same. You still need to learn to read music and learn chords ( a bunch of notes ) except on a bass guitar you often play the chords one note at a time. Find a good teach yourself book that often comes with a CD so you can hear if you get it right. Then you just need to practise a lot, but it is worth it. I like to be both~ But I think I would love more to be a drummer. i've wanted to play since i was 13. drummer!! its so cool to see a girl playing drums.. I really wanted to play the bass and scream like Tom Araya of Slayer. Drummer. I'm a girl, and it looks so cool for a girl to play drums. Follow me on tumblr: Yossha! HarukiMaika wrote: Drummer. I'm a girl, and it looks so cool for a girl to play drums. Girl playing drums doing blast beats, ultra cool!